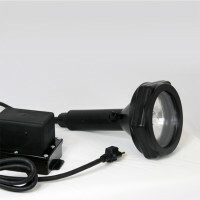 Series 9000 Turboreel 120/12v Inspection Light | Novatech Lighting Systems, Inc. 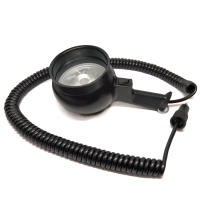 The Series 9000 120/12-volt TurboReel Inspection light is ideal for vehicle, shop, warehouse, or production areas, especially in wet and/or other hazardous locations. 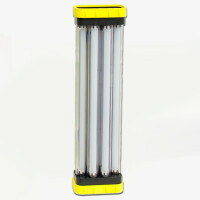 Extends up to 40 feet and totally retracts into a self-contained housing. 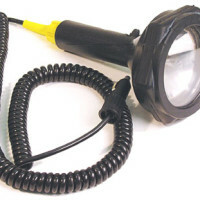 Includes swivel eye hook for hanging application. 120 to 12 Volt step down transformer and ballast attached to side. 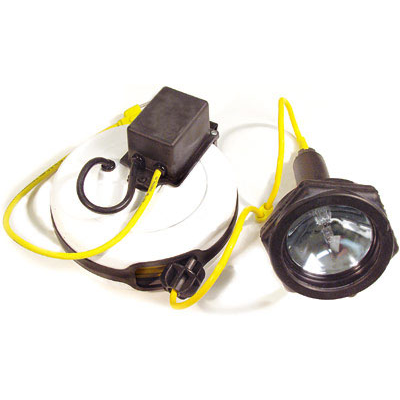 The Series 9000 TurboReel inspection light is a heavy duty, water-resistant spotlight/inspection light attached to a cord reel for use with 120 volt outlets. It has a totally encapsulated transformer that lowers the “in hand” current from 120 to 12 volts, making it ideal for use in OSHA required areas. This light itself has no exposed metal parts. 100,000 Candlepower, 50 watt halogen bulb – 12.8 Volts, 3.91 Amps.